You are currently browsing the category archive for the ‘Real Estate’ category. 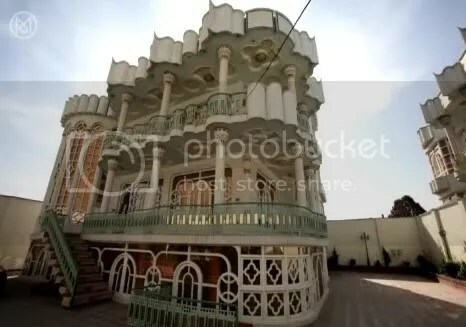 Check out these amazing mansions built by drug runners in Afghanistan courtesy of Monocle magazine. I have to disagree somewhat with their tone — while preserving medieval buildings is important, I think these fantastical structures are pretty special. And who’s to say that Afghani people should still live in mud dwellings? Europeans have certainly moved on from their medieval huts. This Saturday, June 2nd, at 4pm we are celebrating the opening of the Paterson Project, at the Paterson Museum in (you guessed it) Paterson, NJ. The Flux Factory (an arts collective) will be in residency for six weeks, holding town meetings, group readings of the William Carlos Williams poem Paterson, and otherwise researching and investigating the place. The objective is to create a new monument to Paterson. Phototag.org — both tracking disposable cameras as they are handed off on journeys around the world. I love it. At the opening: meet the participants, eat some food, hear about the project, and most importantly…come to Paterson! Originally uploaded by Reversible Skirt. The building has had many wings added on and sits right in the middle of a college campus. 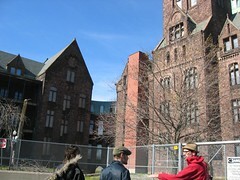 How strange that they couldn’t invest in maintaining it, and use it for dorms (maybe too haunted for that!) or any of the other needs of a college. It is a national landmark. Today it’s surrounded by trees that were damaged in the big snowstorm last winter, and has a few crumbling spots, but is mostly sealed up pretty tightly.